Some time ago I bought a Harman Titan Pinhole camera. This device shoots 5×4 film and the kit comes with a 10 pack of Ilford Delta 100 film. It has a focal length of 72 mm which equates to around 20mm in 35mm terms and an aperture of f/206. I used the film ages ago and have not got around to getting it developed until now. 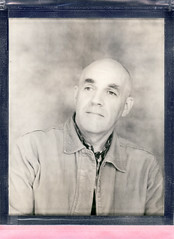 This is a very bad scan of one of my shots – I must clean the dust off my scanner!!!!. 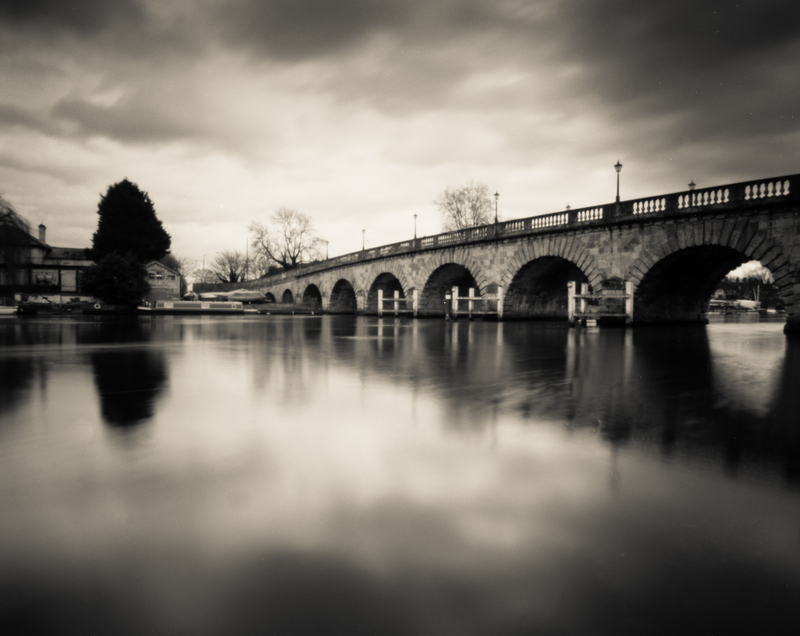 It is of Maidenhead road bridge. I was pretty pleased with the results and I should get out more with it!! The scanned negative was processed in Lightroom and I added some contrast, and used the Creamtone filter. Yes – you definitely should get more out of it. Yes I will…am off to Venice at the beginning of next month and my camera of choice will be my Harman Titan 5×4 pinhole with Ilford Delta 100. Hope to get some different images with this….on the other hand I could mess up the exposures and get nothing…..we shall see.